Scientists that study behavior say owning pets can make people feel better, stay active and can even 1reduce high blood pressure. According to numerous studies, there is a growing demand for pets by retirees. 2Currently 40% of retirement communities are pet friendly and the number is growing. Our office has no plans for retirement but shares a love for our pets. 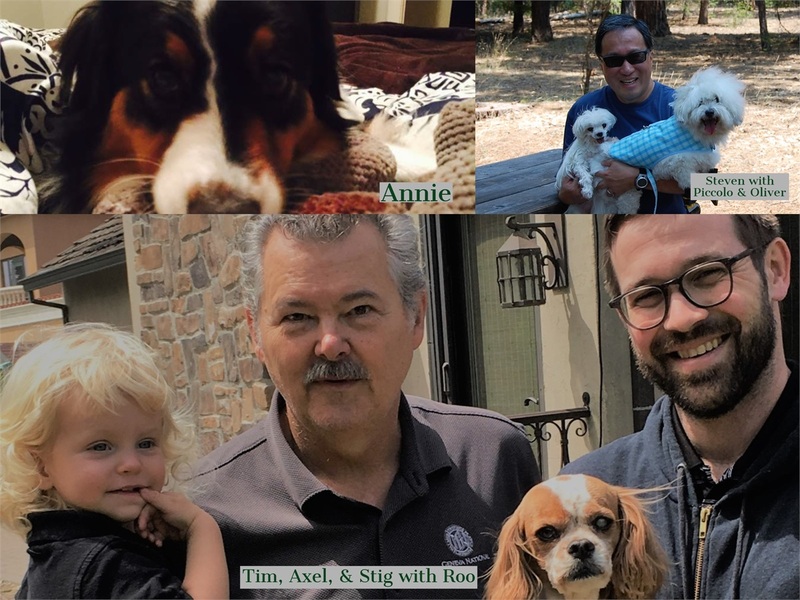 Steven enjoys spending time with his dog Oliver, Gianna takes her high energy Aussie Annie on long walks every night, and although Andrea and I lost our beloved Tucker after 14 years, we get our pet-fix when we visit Jessica and Stig who have a sweet spaniel named Roo. Our hats are off to two of our clients who, in addition to being devoted pet lovers, actively help animals in need through their 501(c)(3) non-profit organizations. We know many of you have pets who bring joy and special meaning to your life. We would love for you to share a photo of your pet(s) with us. In support of PALS and 3R Rescue, Capitol Wealth Management will donate $25 dollars per photo for the first 100 photos received between now and June 15, 2018. The donation will be split between PALS and 3R Rescue. Photos can be submitted via email to [email protected] or fax 916-927-1949. We will publish a collage of the photos we receive on our website.